At Pfizer, we apply science and our global resources to improve health and well-being at every stage of life. We strive to set the standard for quality, safety and value in the discovery, development and manufacturing of medicines for people and animals. Our diversified global health care portfolio includes human and animal biologic and small molecule medicines and vaccines, as well as nutritional products of healthcare industry and many of the world's best-known healthcare products such as Centrum. Every day, Pfizer colleagues work across developed and emerging markets to advance wellness, prevention, treatments and cures that challenge the most feared diseases of our time. Consistent with our responsibility as the world's leading biopharmaceutical company, we also collaborate with health care providers, governments and local communities to support and expand access to reliable, affordable health care around the world. 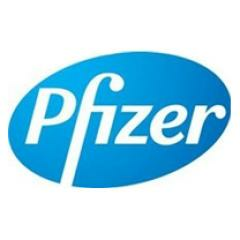 For more than 160 years, Pfizer has worked to make a difference for all who rely on us.